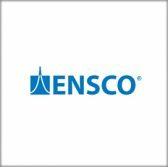 Ensco’s avionics segment has presented its latest software application baseline designed to refine situational awareness for maritime and helicopter systems via synthetic vision technology. The company said Tuesday that it showcased the SVS Core 2.0 application during the U.S. Navy’s PMA-209 Air Combat Electronics Industry Day held in Lexington Park, Md., on Tuesday and Wednesday. SVS Core, currently deployed on the P-3 aircraft, visualizes land and sea environments in all weather conditions at day or night and is compatible with any avionics system. The platform-independent application’s synthetic vision feature reduces operator workload and provides a clear view of sensor suite footprint and environmental obstacles. It also allows display system integrators to utilize a tailored, degraded visual environment application as well as acoustic applications suitable for a maritime environment. The Air Combat Electronics Program Office’s industry day events provide interested firms with the opportunity to present their technological offerings and learn about the government’s potential naval avionics projects in support of the Naval Air Systems Command.